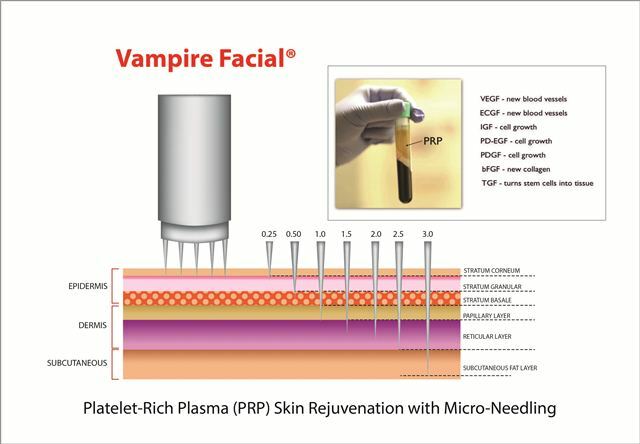 The Vampire Facial® involves placement platelet-rich plasma (PRP) withits growth and healing factors into the deeper levels of the skin using the Dermapen®. 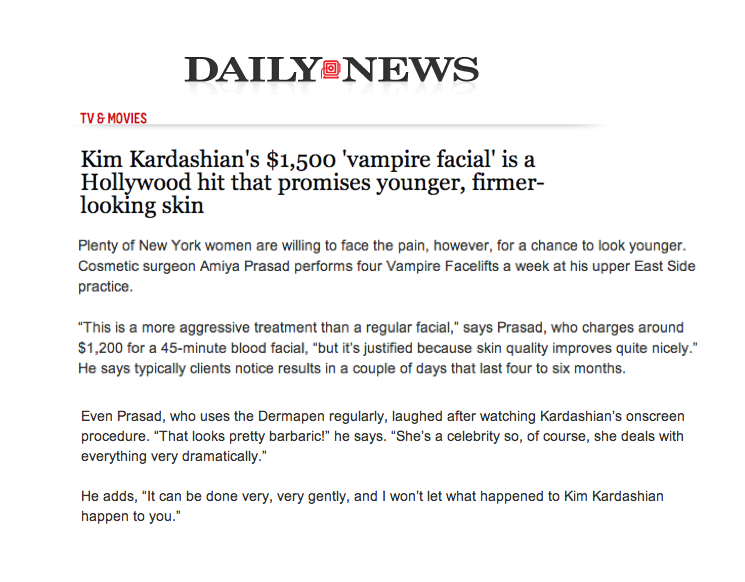 The procedure improves cell turnover, skin renewal, and adds an overall glow to facial skin. When done correctly, the procedure is painless without any bleeding. The medical micro needle procedure using the Dermapen is a method of “collagen induction therapy” also referred to as “CIT”. The small entries into the dermis cause the skin to respond with collagen which softens the appearance of fine lines and wrinkles as well as superficial sun damage.